Making Ice – Mother Nature makes it look so easy! With heaps of ice crystals falling from the sky, it seems an appropriate time to answer one of my readers’ questions: How do I make the ice that I torture during my experiments? Unfortunately, it’s not as straightforward as putting a tray in the freezer and coming back a few hours later for cubes. 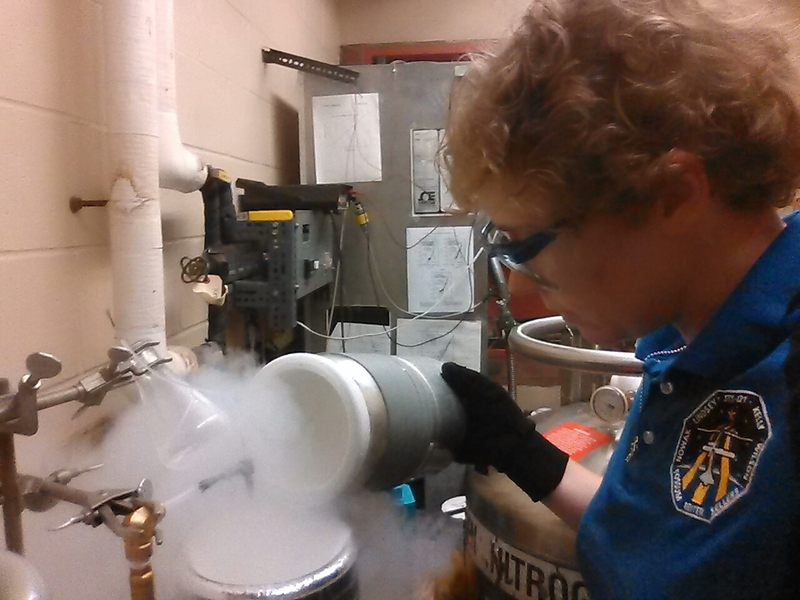 Making ice for scientific experiments requires me to precisely control not only the cleanliness of the ice, but the size of the crystals, and the methods we use to control crystal size – or “grain size” in scientific lingo – are pretty exciting. The first step in any of my experiments is to decide “how” I want my ice to deform. Ice is a non-newtonian fluid (Wikipedia has a great article for anyone who wants to delve into that) whose properties can be strongly influenced by grain size. As such, I decide what sort of properties I want to investigate, and then choose a grain size that will allow me to do so. Choosing the grain size, in a way, determines how I will make my ice. The process goes from frozen, deionized water, through a blender and a set of sieves (imagine a red-faced blonde leaning over into a chest freezer for about an hour, banging a set of sieves against the inside, and you’ll get the idea), packing the resulting snow into a mold and flooding it with ice-cold water. The latter process involves a small-scale “Polar Bear Plunge” where I reach into a bucket of ice water to move valves on the alien lander. After all that, the flooded powder is left to freeze overnight. I take the frozen sample out of the mold, cut it down to size, and voila! 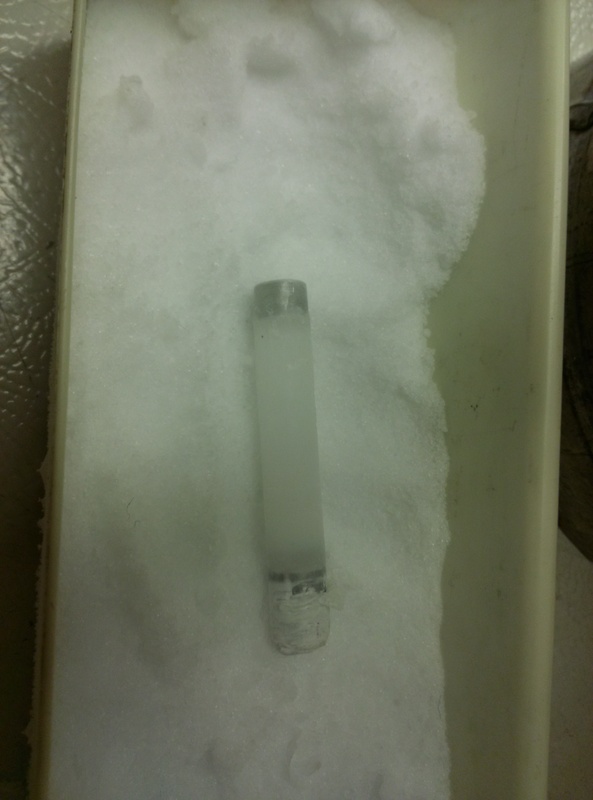 Coarse-grained ice sample, ready to go. If I need grains smaller than 100 microns, I have to get creative. 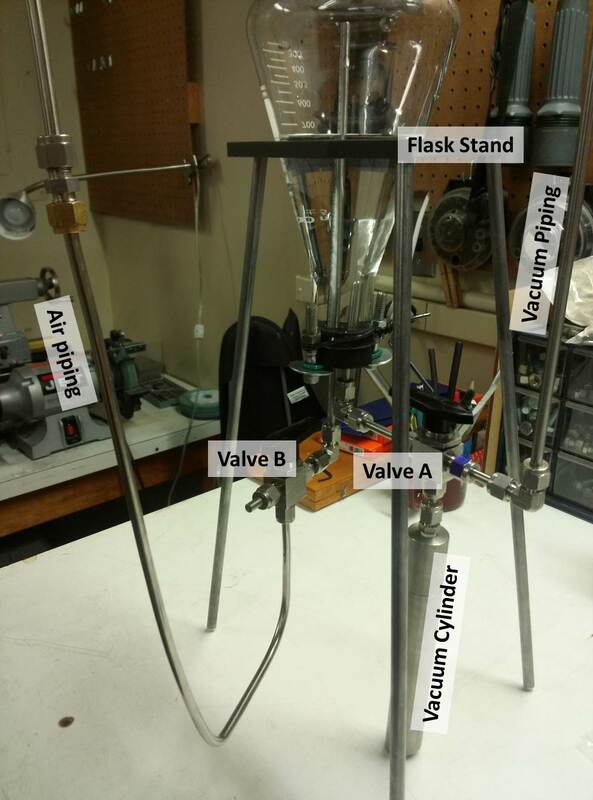 The process involves spraying a fine mist of deionized water into a dewar filled with liquid nitrogen (at about -200⁰ C). This forms a slurry of liquid nitrogen and very small particles of ice, which I then pour through a shaker to separate. As the shaker runs, I must continually douse the mixture with liquid nitrogen to keep anything from melting or growing. Finally, the resulting powder gets packed into a mold. The result of these efforts is a beautiful piece of polycrystalline ice, ready for science! Previous How Doth Ice Creepeth?